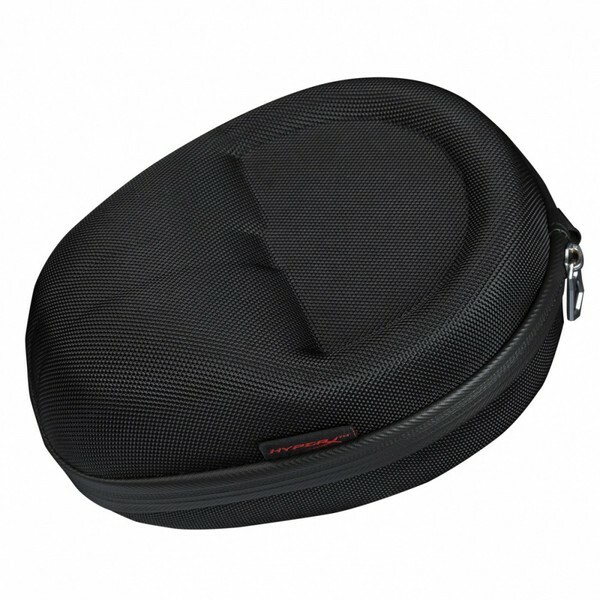 Keep your gaming headset safe with the HyperX HXS-HSCC1/EM Cloud Carrying Case. This durable hard shell case makes sure your headset is well protected when you're carrying it around. Its soft inner lining keeps your headset snug when you're off to your friend's house or to a gaming tournament. It's even got a nylon strap for extra carrying convenience. This official HyperX case works with Cloud, Cloud Alpha, CloudX, or Cloud II headsets.